When Joan Rivers died on September 4 of heart complications after undergoing throat surgery, the world mourned the loss of the snappy and clever comedian. Always keeping people around her on their toes, Rivers was known for her quick wit and snarky but hilarious sense of humor. She was successful very early into her career and made a name for herself after becoming the first woman to host a late-night talk show on network television. 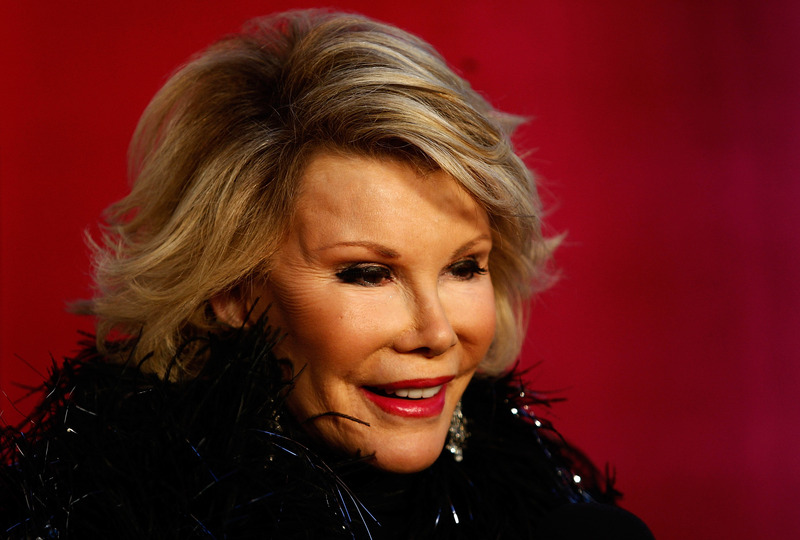 After being a winner on Celebrity Apprentice, appearing on The Tonight Show with Johnny Carson, cohosting Fashion Police, and winning a Daytime Emmy for Outstanding Talk Show Host, among many other successes, Rivers’ work was a gift to us all, and her fellow celebrity friends and coworkers remember Rivers for her outstanding accomplishments. Though many who met her knew that the witty Rivers would be a star, the comedian initially began her journey to the comedy stage through singing performances. She participated in a trio called Jim, Jake, and Joan, and also sang on the pilot of Shape of Things, according to George Schlatter in an interview with The Hollywood Reporter. From 1963 to 1964, Rivers took part in a singing trio with Jake Holmes and Jim Connell, typically performing before wealthy audiences at various events. However, it was in their last year that Rivers defied Connell at a rally for Democrat Bobby Kennedy by refusing to take off a button she was wearing to represent Kenneth Keating (who was also running for New York senator at the time), according to an interview with Holmes in The Hollywood Reporter. According to THR’s interview with Doris Roberts of the film Rabbit Test, Rivers “wasn’t funny on the set. It was all business.” Rivers wasn’t afraid to call out a man if he wasn’t serious while on the job, and didn’t allow their criticisms to take her down. Basically, Rivers made #sorrynotsorry cool way before our time. The comedian was a “very early gay-rights supporter,” Ricki Stern told THR. And, unsurprisingly, many in the gay community supported Rivers right back. As many may know, there was some bad blood between Rivers and Carson after the comedian decided to become the host of her own late-night show, The Late Show with Joan Rivers. Yet before the competition, she had her first big start as a guest on The Tonight Show with Carson.